1. 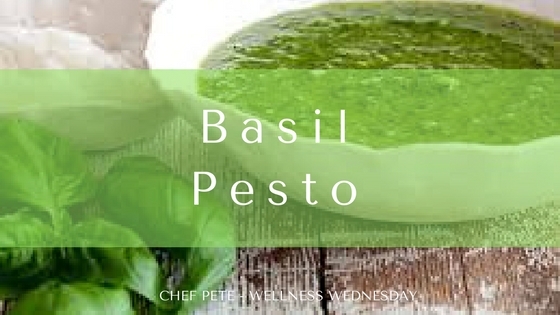 Combine basil leaves, pine nuts or walnuts and garlic in a food processor and process until very finely minced. 2. With the machine running slowly dribble in the oil and process until the mixture is smooth. 3. Add the cheese and process very briefly, just long enough to combine. Store in refrigerator or freezer.